BWE #2, coming right up! I’m sure by now that everyone’s read that we’ll be having the next Beta Weekend Event for Guild Wars 2 next weekend, the weekend of June 8-10th. It’s a little later than…pretty much everyone predicted, but hey, stuff happens, and I’m not too surprised. So long as we get to play, it’s all good! What was surprising, though, was the news that our characters from the first BWE have not been wiped and will be available for play! Which is nice, really, for a number of reasons, especially as we don’t get to see the sylvari or asuran lands quite yet. First of all, it allows us to get more into the higher content areas that are available. Which, of course, means more chances for bug-testing and difficulty balancing, which is always helpful. Testing doesn’t do a whole lot of good if there’s suddenly a wild difficulty spike at one point, after all. And for us players, that means not having to start all over and re-clear the starting areas we’ve likely already cleared by now. In other words – less risk of someone getting bored before the game launches. Of course, I’m sure there’ll be plenty of people who start a new character or two in order to try out a different profession than they’d played previously (I may do this myself), but I think most people will prefer to continue on with their characters they were already playing with. To do things like try the Ascalon Catacombs dungeon, finish the personal story if they haven’t yet, unlock elite skills, and so on. Not to mention being able to spend more time in PvP and WvW, and simply exploring everything that they can. Verene the Mesmer, last seen somewhere near Lychcroft Mere in Kryta, will certainly be back in action next weekend! And if you haven’t yet prepurchased? Go take a look at both GuildMag and Guild Wars 2 Journal – both sites are holding contests to give away 20 beta keys! 38 Studios goes under, but the industry response is encouraging. So 38 Studios announced a company-wide layoff today, and the closing of Big Huge Games, due to financial troubles. For those who don’t know, 38 Studios was a promising company founded by MLB pitcher Kurt Schilling, due to his passion for MMORPGs. They released Kingdoms of Amalur: Reckoning back in February, but unfortunately, it didn’t sell well enough to recoup the costs, and the sad result is before us now. However, there is a glimmer of something that I want to focus on. Following the announcements, 38 Studios was flooded on Twitter by other studios saying “by the way, we’re hiring.” As sad as it is to see a studio go down, times like this remind me why I love the video games industry. This list was compiled voluntarily for the employees, and includes over a hundred currently-hiring studios, from the huge names like Microsoft, Ubisoft, Blizzard, to medium ones like our beloved ArenaNet, to tiny studios like High Voltage. If you don’t know, the video game industry can be rough. Really rough. Getting in to begin with almost requires you to already have studio experience, and even with that, you’d better be good at networking. Once you’re a part of the industry, employees tend to be shuffled from position to position, game to game, studio to studio like so many playing cards, and as today reminds us you never know when an entire project will be canned and you’ll have to find someplace else. So it’s amazing, truly amazing and heartwarming, to see the studio outreach today. I just wanted to point that out, and give proper honor to you great guys and girls in great studios reaching out to help a colleague in a bind. Thank you for your work and your humanity. Everyone from 38 Studios, I wish you luck. I think you’ll all be just fine. New Dynamic Event: Centaurs invade the Underworld! So a few nights ago, a few friends (TriggerSad, Sharn_Vendeta, and damagedself) decided to try an Underworld run. We ultimately didn’t succeed (damn you Talhkora and your over-aggroing ways), but we did have a lot of fun. A lot of the chat we had on skype was about Guild Wars 2 and things from it we missed – such as the fact that we couldn’t jump (would have been very helpful at some points) and couldn’t dodge. And then Sharn used his Zhed tonic, said “New dynamic event! Centaurs are invading the Underworld!”, and it got me thinking. 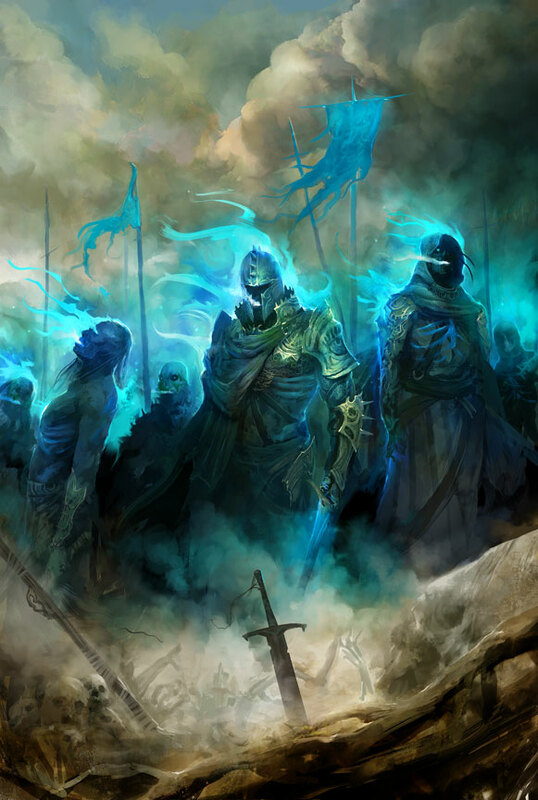 I would really, really love to see the Underworld as a dungeon in Guild Wars 2. Now, nothing as silly as “centaurs are trying to take over”, but, honestly, how cool would that be, to be able to see how the UW has changed in the 250 years since GW1? I mean, obviously things are still active there, considering how portals to the Underworld will open up all over Godslost Swamp, where the Black Curtain and Temple of the Ages used to be. Aatxes are among the things that spawn from the portals when you destroy them – yes, those same Aatxes. And then there’s the Shadow Behemoth itself, that may break out of the Underworld and needs to be defeated. It seems to me like things in the Underworld have worsened since Dhuum’s awakening. I also think it’s an area that would benefit heavily from a GW2 upgrade, in terms of game mechanics. 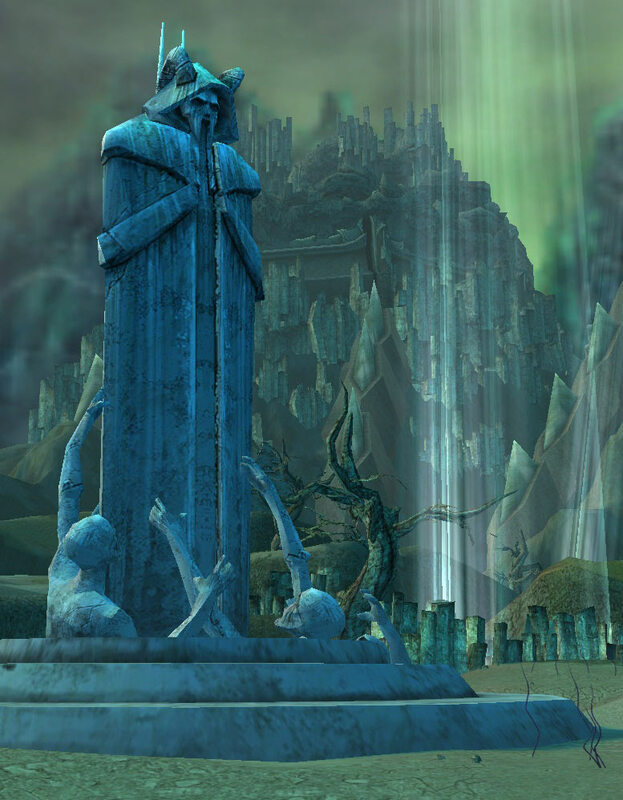 The Underworld in GW1 is a twisted maze that’s not easy to navigate, by any means. So many times we found ourselves looking down on where we needed to go, wishing we had a z-axis so we could just jump down. Also, the area is already set up as a chain of quests; imagine how neat it would be if those were replaced with a series of dynamic events, with things changing depending on what you did. Of course, as it would be a dungeon it would be instanced, so if you did ‘win’ a specific area you wouldn’t have to worry about respawns coming along to destroy all of your hard work. The presence of waypoints would also greatly help out here, as there’s nothing so frustrating as spending two hours clearing things and completing quests only to die and get kicked back out. I think that if we get extra content between expansions, some of it will likely consist of a new dungeon or two. I really think that the Underworld as a dungeon would be great for that sort of thing, and I doubt I’m the only person that would want to see that old haunt return with an upgrade, and how things have changed over the years. What do you think? What area from GW1 would you like to see return in some manner? So, as it so happens to be, I am part of a family of gamers. I started at the wee age of not-quite-three when my parents got an NES for Christmas, and the rest is history. My siblings all quite enjoy video games as well; my brother is the one that got me interested in Guild Wars in the first place! One day when I was playing Guild Wars, nearly three years ago, my littlest sister (now ten years old) asked me if she could create a character. She specifically asked if she could make a character that could set things on fire and raise undead minions. Sure, why not! I said, and let her loose on the character creator. Thus, Isabella Windfire, an Elementalist/Necromancer, was born in Elona. Isabella’s gone through some changes, as has my sister’s playstyle, as she’s gotten a bit older. She doesn’t use minions anymore, having realized that splitting too heavily between two professions like that just winds up with not being very good with either. She decided she wasn’t happy with the original hairstyle she had used, and used one of the makeover credits I had on my account to give Isabella a new hairstyle – a Canthan one. She managed to play a decent way through both Nightfall and Eye of the North on her own, learning to use her skills. I helped her set up my heroes, of course, and gave her free run of the contents of my storage. She’s also managed to collect a few sets of armor – a Shing Jea/Canthan mix that is blue, pink Tyrian, orange Iceforged, and at last, the red Elite Sunspear that you can see here (she also eventually wants a Norn set). She loves having minipets, and also loves using summoning stones. Basically, the point of all of this, is that she loves Guild Wars. It’s simple enough that a kid can figure out how to play it, though it takes far more skill and time to really master the game. So when I started telling her about Guild Wars 2…she was excited. Very much so. She was particularly excited about being able to play as a charr, as Pyre is her favorite hero in GW1. She asks me every so often if there’s any new news for GW2. She asked me if she can create a character on my account (she wants to play a charr necromancer or elementalist). And of course, her excitement about it got my youngest brother, who is about to turn nine, interested in the game as well! So last week when the stress test happened, I found that I actually had very little time to play. They both had been asking if they could play, so I decided to let them each create a character and play for a bit instead of playing much myself. The two of them had a blast, to put it mildly. My brother chose to make a human warrior that he had named Skull Man. He declared the opening fight against the Elemental “completely epic!”, and quickly decided that he really, really liked using a mace. My sister surprised me a bit; she made a charr elementalist she had named Katika Scourgepaw, but I had expected her to pick fire as her favored element. Instead, she went for water. She had wanted to have pink fur, but since it wasn’t possible, she instead went for hot pink armor. My brother didn’t really play with the sliders much, but my sister went to town with them. Needless to say…the two loved the game. They had so much fun with it. They’re both asking me if they can make characters when the game releases. I fear that if I do, I’ll hardly get to play myself because they’ll always be wanting to play! I’ll definitely let them both play more during the next BWE. And personally, I love that I can share a game I enjoy so much with my younger siblings and see them have so much fun with it. 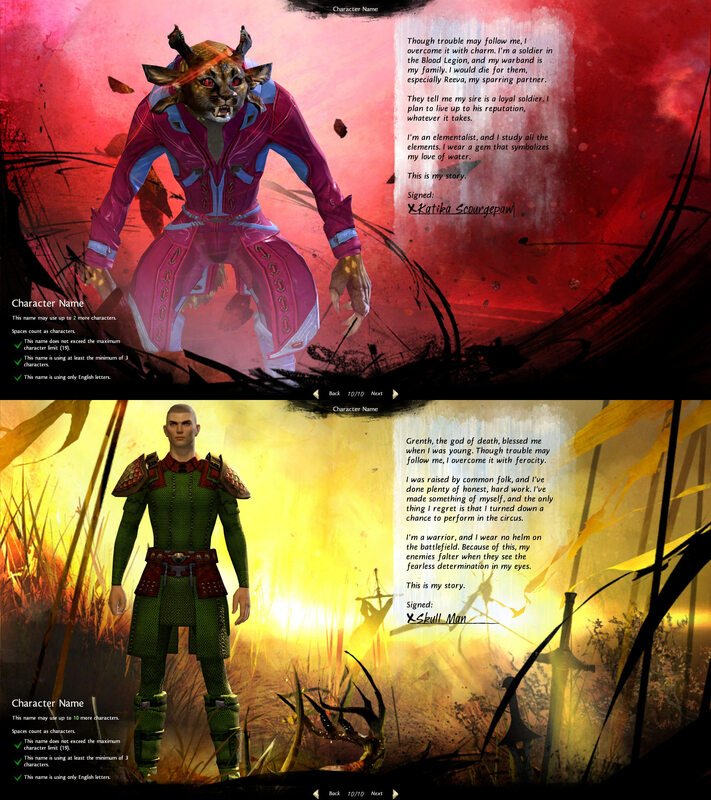 So, enemies of Tyria, beware – there’s a bright pink charr and a warrior dressed in green coming for you! Have you ever wondered what exactly goes into writing Guild Wars 2? Well, thanks to a recent opportunity I had, I have some answers for you! I was able to interview several of the writers for Guild Wars 2 on what it’s like working on that game that we’re all waiting so very impatiently on. I received answers to my questions from Bobby Stein, Lead Writer, Peter “The Explorer” Fries, and Angel McCoy, the voice of the sylvari. As Bobby, Peter, and Angel are all awesome people, the answers I got were far longer and more in-depth than I had been expecting; thank you so much (and also a big thanks to Regina for granting me this chance in the first place)! Without further ado, here’s what you’re waiting for! Verene: Hello! First of all, I would like to say thank you very much for your time in doing this interview and answering these questions. I’m hoping to get a look at a side of games that many people don’t pay as much attention to, but for most games I find just as important as the artwork and mechanics, and that is the storyline of the game, as well as how it’s written. 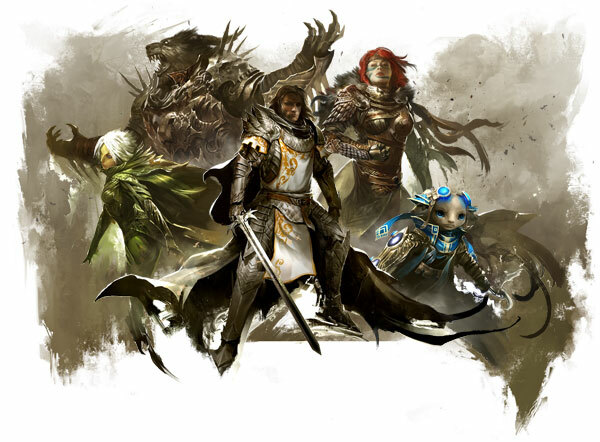 Guild Wars 2 being what it is, the story is certainly one of the most important parts of it! So, thank you for taking your time to answer these for me. First and foremost, just how different is it writing for a game from writing, say, a novel or script? And how does writing for Guild Wars 2 differ from writing other games? Let me craft that for you! Showing off my crafted armor at the tailoring station. Whenever I play a game, I get addicted to crafting. When I played Rift, I made a lot of money by crafting armor and selling it on the auction house. In Skyrim, my alchemy was level 50 by the time my character was level 10. In Aion, I’ve been playing around with crafting stuff. Basically, I like to pick up everything and see what I can make out of it (I blame this on me being a crafty sort of person in real life). So of course in Guild Wars 2, I wanted to try out their crafting system. I wound up not spending nearly as much time on it as I had intended, sadly – other things (like exploring) kept distracting me. However I did do enough to get a grasp of the system. It definitely has its similarities to systems from other games – you pick up materials, you bring them to a crafting station, you refine them, and then you craft them into armor/weapons/etc. There’s also cooking, which I didn’t touch at all, but works slightly differently than the others…and is also ridiculously in-depth and has a ton of different ingredients; enough so that there’s a separate storage pane in the bank for cooking ingredients. Oh, and you can experiment with different components to come up with recipes for items. Some notes on how crafting works: You’re not just going to go up to a station with, say, a bundle of stretched leather and be able to instantly craft yourself armor. First you need to refine the raw materials you’ve gathered or salvaged into refined materials, which then craft into item components, which then can be crafted into weapons and armor. It’s simpler than it sounds, really, though it can get quite complex later on. Take the armor set my character is shown in, there – a simple Embroidered set that I crafted at the Tailoring station. To make the top, I first had to refine Jute Scraps and Rawhide Leather Scraps into Bolts of Jute and Stretched Rawhide Leather Squares. Then I had to use these to craft a Jute Tunic Panel and a Jute Tunic Lining. Then I took those materials as well as a Vial of Weak Blood, and crafted them into a Embroidered Coat. That’s basically crafting in a nutshell. However, you’re not going to get all of these recipes just handed to you…nor are you restricted from experiment. Recipe discovery is a large part of it, and it’s really worth playing around with that. First of all, that’s how you find/learn how to make insignias and inscriptions, which can be used in place of vials of blood when crafting your armor and weapons, and these will also change the stats. Combining a Bolt of Jute with a Bone Sliver in the recipe discovery pane will give you a Vital Jute Insignia. Take this, add that, the Jute Tunic Lining and the Tunic Panel, and put them in the recipe discovery pane…and you’ve got a Vital Embroidered Coat. The nice thing about recipes is that it’ll tell you if you’ve discovered something before you actually craft it – it’s not like Skyrim where if you don’t find a viable recipe, your components are destroyed. Put an item in, it’ll tell you that there are x number of recipes available and to add more. Once you’ve hit something, the Craft button will be usable, and you can see what you’ve created. And once you hit a certain point, you’re going to need to use it to create your items. For example, once I hit 25 in crafting, I was given the recipes for Jute Headpiece Straps and Padding…but no recipe for actually combining these into a piece of headgear. Over to the discovery pane I went, then; first to create an insignia, and then to combine it all together. Then, after I had discovered it (I made myself a Resilient Embroidered Mask), it was stored in my learned recipes that I could craft at any time. It starts out simple, but the more you get higher in crafting levels, the more complex it gets, and the more that things like the insignias and inscriptions you pick for your stuff makes a difference. One of the nice things about crafting in Guild Wars 2 is that it’s quick. In most games you have to sit there and watch that bar fill up over and over and over…yes, that does happen here. But if, say, you’re refining a stack of stuff at once…you’re not going to be staring at that bar going across the screen for twenty minutes. It starts out slow (which is still quicker than in most games), and rapidly speeds up until it’s essentially “blink and it’s full”. You also cannot fail at crafting an item. No need to worry about those rare materials you scraped together for something breaking or being destroyed because your crafting failed – if you try and create an item, it’ll be a success. You can get critical successes, but that doesn’t make the item any better – it’s usually something like extra experience or an item refund. Overall, I wish I had spent more time on it. However, I enjoyed what I did try of it – I crafted myself a full set of armor (the mask I made actually I couldn’t use right away because it required a higher level than I was!) as well as a few weapons – I went for Tailoring and Artificer. The things you can make are not necessarily any better or worse than what you can loot or buy, however they do have different appearances, as well as when you get to higher levels in a crafting discipline you have more control over the stats that go on your items. For me, though, crafting is a success, and I definitely plan to go more in-depth into it come the game’s release.